Put away the short-shorts from last year and pull on an easy breezy skirt or culottes. The loose fit will keep you cool. Pair it with a jacket and you could even go to work in it. Add a white t-shirt or blouse and a sandal and you’re done! The kitten pump is back. Wear this low-heeled, pointy-toed pump with slouchy Bermuda shorts or rolled up boyfriend jeans. Try them with your new sheath dress or skirt. Do you want a look that’s as comfy as a nightgown? 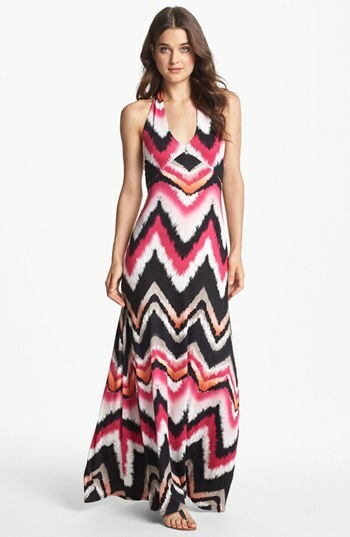 Slip into a maxi dress in a bold print in blue, red, or green. Pair with a cropped jacket to create more shape. Your jacket could be in denim, leather, or linen. Go for a poncho-inspired top in silk or a polyester blend. Pull it over your head, slip your arms through the draped sleeve and enjoy how it creates movement around your body. It’s perfect if it’s in a print – you can say goodbye to perspiration marks! 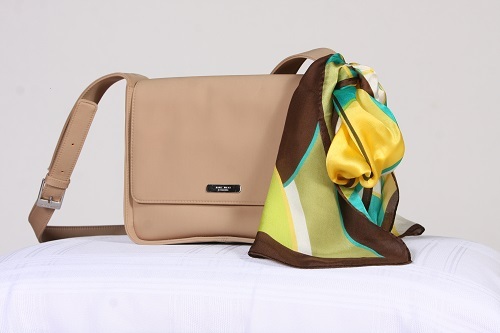 An easy way to add style to your outfit is to add a summer weight scarf in linen, cotton, or silk. 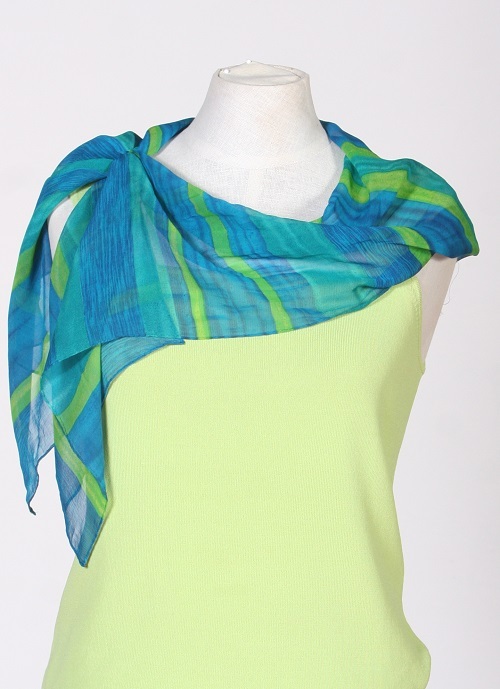 Just one bold color or print in a scarf will add interest and make your basics come to life. Too hot to hang it on your body? Then tie it on your purse strap – instant style! Have you heard the news? My new book, Out the Door in 15 Minutes is NOW AVAILABLE! You can purchase it here from Amazon.